"Karagoz" is Kazakh national ballet that illustrates the struggle of tradition, rationality versus one true love. 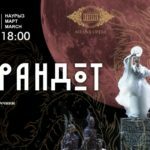 The ballet has been praised by critics and ballet experts will be staged in Astana Opera. A poem by the 12th century Persian classical poet Nizami, which lies at the heart of the libretto of the opera, was included in the 18th century European collections of Persian fairy tales, from where the Italian playwright Carlo Gozzi took it for his “fairy tale for the theatre”. Libretto by Giuseppe Adami and Renato Simoni. 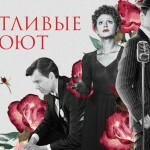 Almaty's Auezov Theatre will stage the musical "The Happy Sing," centering on Édith Piaf and Frank Sinatra, Feb. 6. World's first dancing symphony orchestra CONCORD ORCHESTRA will perform rock hits. The show named “Symphonic ROCKETS” with programme "Wings of a griffin" promise an unforgetabble evening to Astana residents and guests.